Celia E. Naylor is an Associate Professor in the Departments of Africana Studies and History at Barnard College. She has taught at various institutions, and she was the Director of the Margaret Sloss Women’s Center at Iowa State University from 1993-1997. Her interests include African-American and Caribbean history; Indigenous history; women's history and literature in the African Diaspora; and colonialism and neocolonialism in the Caribbean. 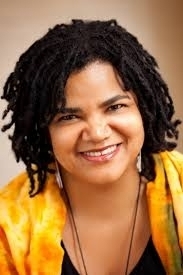 Most of her published work explores the multifaceted connections between people of African descent and Indigenous descent in the U.S. She was one of the coordinators of the historic conference, “‘Eating Out of the Same Pot’: Relating Black and Native (Hi)stories,” held at Dartmouth College in April 2000. Her book, African Cherokees in Indian Territory: From Chattel to Citizens, was published by the University of North Carolina Press in May 2008 (John Hope Franklin Series in African American History and Culture). Her current book project is a microhistory of enslaved people’s experiences (with a particular focus on enslaved women’s lives) at Rose Hall Plantation in Jamaica. It will include an interdisciplinary critique of the legend of the “White Witch of Rose Hall” and a digital component to present a counternarrative to this mythology. She also works with a non-profit organization, the Institute for Strategic and Equitable Development, that centers on philanthropy-focused initiatives grounded in racial equity and promotes impactful grantmaking, investments, and economic development in communities of color.